So much cuteness is packed in these little loafers. Plus they are far more suitable for playground play than the red Dorothy shoes you can find at Target. Really, these shoes are impossible to resist. 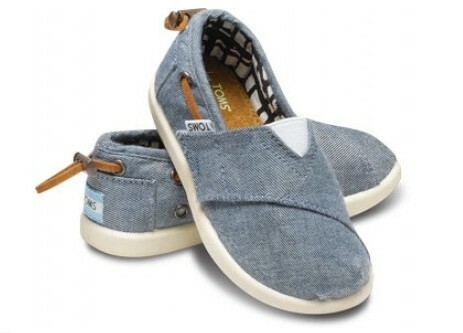 Henry got this little Chambray Bimini pair. Now I want some for myself. Ok, my girls have got to have these. I want the ballet flats and wedges! My daughter wants a pair of these SO bad! I think I shall indulge her! TOO cute! 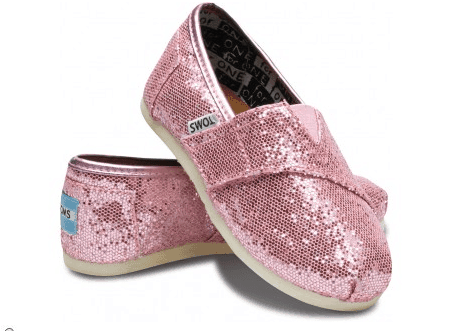 Those sparkly toms are too much! So cute! Those are soooo adorable! And sparkly pink for girls…no brainer right?